The music is blasting and the marina is pumping with dancing bodies on the tops of over 60 yachts. From your deck, take in the brilliant sun above, breathe in the scent of cool salt water and see nothing but miles of crystal blue ocean ahead. With endless cocktails in hand and friends from around the world at your side, you know that this is the best summer ever. This is paradise. This is the Yacht Week. Opting for the original and arguably the most popular Yacht Week tour, my friends and I chose to do the Croatia south route this past August. Beginning the journey in the ancient Roman city of Split, our yacht set sail to four breathtaking islands which included Vis, Hvar, Komiza and Stipanska. Life on the Mediterranean Sea is like living on cloud nine. Dive into the warm, clear ocean at your pleasure and let the salt water exfoliate your skin. Snorkel and explore the ocean floor to discover a world of vibrant coral and fish. Swim into underwater caves that glow fluorescent blue caused by sunlight seeping into the cave and reflecting through the seawater. Lie on the deck, soak up the rays and perfect that tan. Want a rush of adrenaline? Cliff jumping can be done on any of the islands and will make you feel alive. The beauty of Croatia was just one aspect of the Yacht Week. 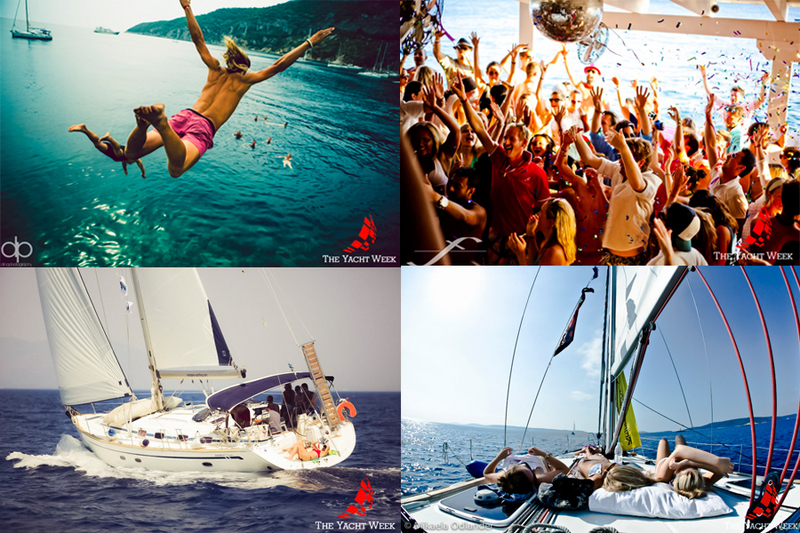 What made it unforgettable were the flawless and perfectly orchestrated parties the Yacht Week would throw nightly. Every night, the yachts would dock at a marina and the party would commence. 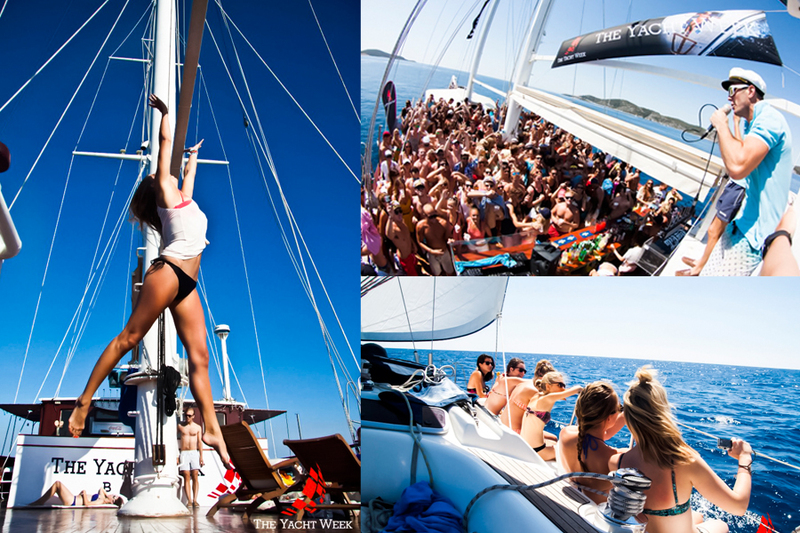 Appealing to all the senses, the Yacht Week parties are different, exotic and located in world renowned spots. On the island of Vis, the ancient fort of King George III turned nightclub was extremely impressive. Housed inside an abandoned castle, the party raged until the late hours of the night with great house DJs, champagne showers and an outdoor dance floor in the castle court. Aquarius Beach Club in Komiza was situated on beach front property. The dance floor was literally five meters away from the shore. The day and night party at Carpe Diem in Stipanska lasted for over 12 hours and had its own BBQ, two pools and a dance floor that overlooked the ocean and setting sun. 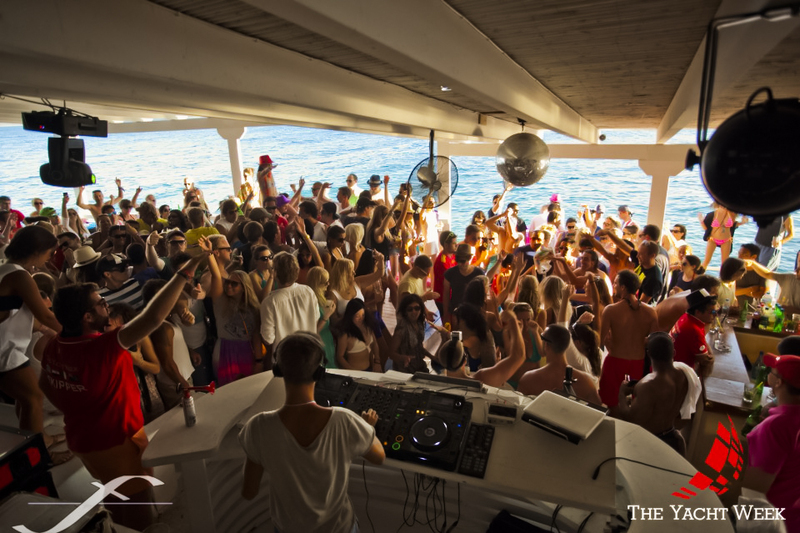 Every event is sure to be blasting the hottest and freshest house music hits as Yacht Week DJs are hand selected and flown into destinations for the sole purpose of ensuring that everyone, every night is jamming, breaking it down and busting a move. I can tell you firsthand that they get the job done and get it done well. At the end of the night when the music was put to a halt, the crowd would be in uproar, begging for more. When the Yacht Week party came to a close, we’d start the party where it left off on our yachts. The best parties of all were never housed in the clubs. One night, all 60 yachts tied themselves together in the middle of the ocean, which allowed people to walk and join other boats. Yacht Weekers were their own DJs and bartenders and the yachts were the clubs with deck parties going full swing until the break of dawn. What was amazing was that we had absolute freedom out in the middle of the sea. We chose our own music, we mixed our own drinks, we set the vibe for outrageous parties and we decided when it would end. During some days, yachts manned in the marinas and day parties would rage on the docks until it was time to hit up the nightly Yacht Week party. In the port of Palmizana, my crew got crazy and managed to pack at least 30 people on the deck of our yacht while blasting some of the best tunes from the 90’s to current electronic bangers and then back to hip-hop tracks. Creativity and eccentricity took over as party-goers rocked everything from banana suits to Viking costumes. With an endless flow of drinks, cups were always in short supply and it was awesome to see coconuts, pineapples, water guns and watermelons used instead. The best part of Yacht Week was the unity between everyone participating in the event. The Yacht Week draws an international party crowd and despite your nationality, everyone bonded and friendships were conceived. It didn’t matter if you were Mexican, Swedish, Spanish or American; everyone was excited to learn about new cultures and have a good time together. It is tradition to have a regatta on the final day of the Yacht Week. By the end of the week, we were sailing like a top crew and experts on how to sail thanks to our knowledgeable skipper. The regatta is a fun event where crews get creative and put together team names and costumes to show their spirit during the race to port. 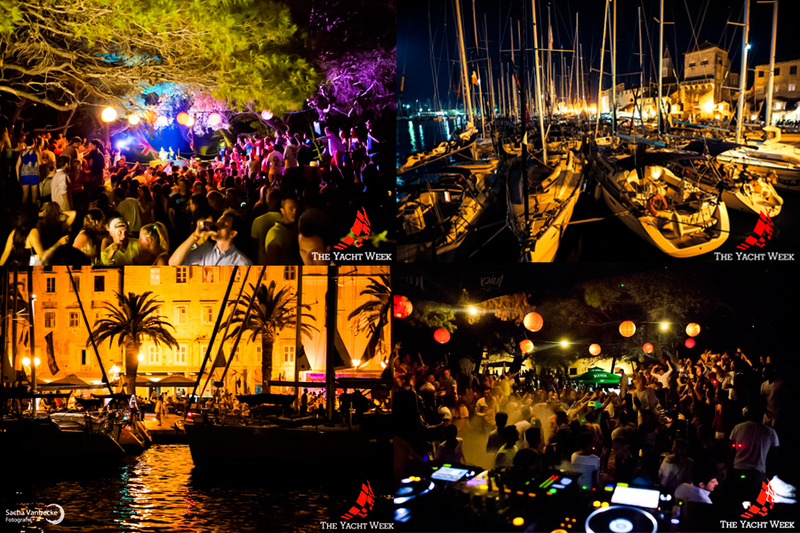 The final regatta party is held back in Split at the Vanilla Club and was a memorable night of dancing, fireworks and sadly, goodbyes to all the amazing friends made during the week. Our 39 foot Bavaria yacht housed my four Canadian friends, two Australian guys and a hilariously entertaining Norwegian skipper who never quit cracking jokes. It was these people who made the experience unforgettable and made the yacht truly feel like home for the week. The yacht was immaculate and included two bathrooms and showers, three furnished bedrooms, a fully equipped kitchen and living room. There are a variety of yachts to choose from and depending on how many are in your group, yachts can accommodate eight to twelve people. To top it all off, the Yacht Week is a getaway anyone can afford. With yachts ranging between 350-1100 Euros and the option of paying in instalments, anyone can live the high life for a week. 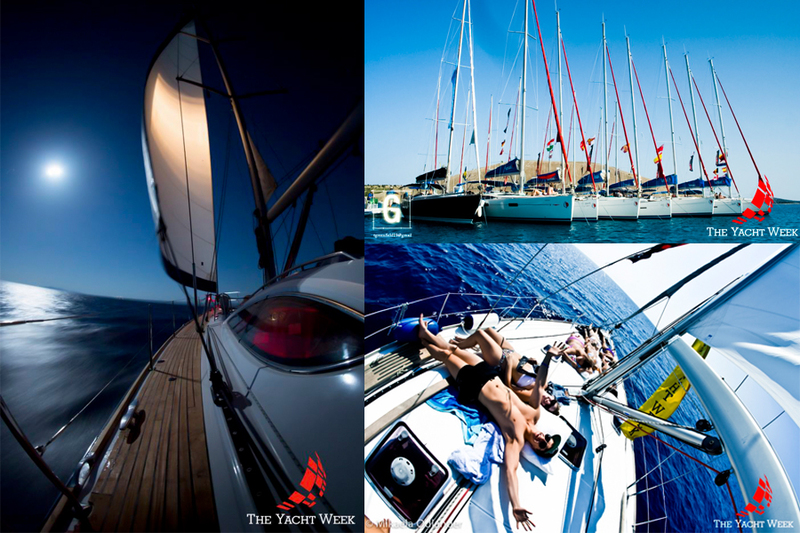 Affordable luxury, combined with great people from all over the globe and fun events are what make the Yacht Week unique. The Yacht Week is the holiday of a lifetime. 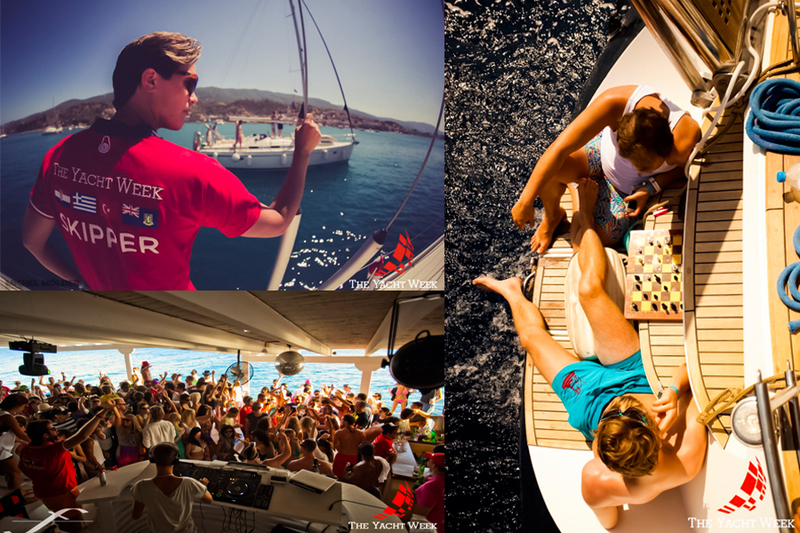 Take it from someone who experienced it this summer; it is a must for anyone who loves sailing, adventure and partying. 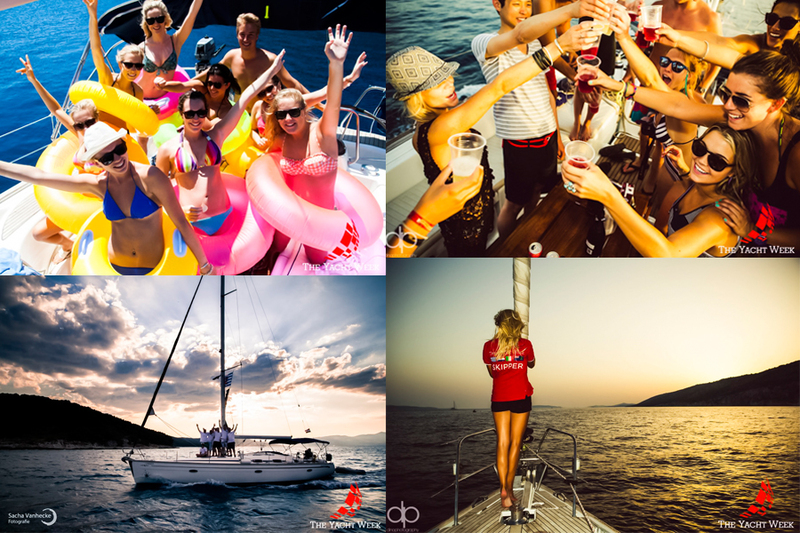 For seven days, you have a yacht to call your own, a skipper who takes you to new lands and a party every night at venues that will blow your mind. Gather your friends and be part of an epic voyage on Caribbean waters in the winter and Croatian, Italian or Greek waters in the summer.